I feel like I’m missing something here, and that’s not a desirable reaction after watching a movie, nor after completing anything for that matter: a conversation, a book, a show, a thought. I want to understand the story I was just told, or at the very least to understand that I’m meant to ponder the meaning, meant to think through the moral without there being a definite answer to my burning questions. I’m fine with that, I don’t mind being challenged, but I, minimally, need to feel like I have the tools to dig through what I’ve been given, something that could not be farther from the situation I now find myself in having watched The Midnight After. This is one of those times that I doubt my own intelligence, because surely the filmmakers intended something, but it beats me what that something was. 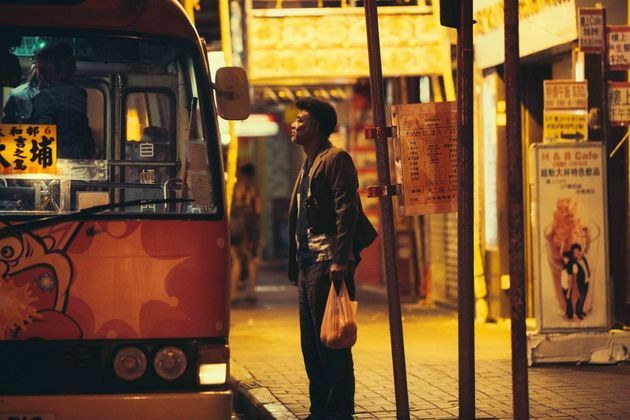 In the early hours of a typical morning in Hong Kong, a group of random strangers, each with their own reasons for being out so late, ride a mini-bus through the city, on their way to their own destinations. Chi is an attractive young man with a girlfriend who he was hoping to see, on his way home. Yuki was just fired from her job and wants to get home to her boyfriend’s comforting voice. 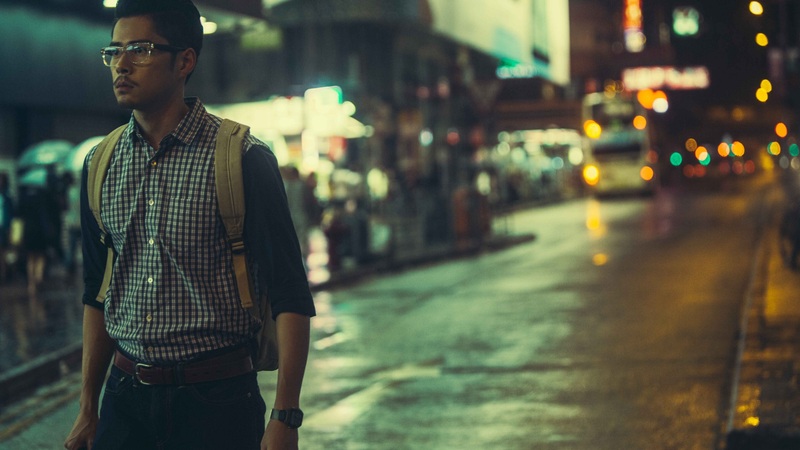 Man-fah is a take-charge businessman who sees himself as a wise elder. A married couple, a cocaine junkie, two young hoods, a chubby driver, an intelligent hipster, a group of four friends, a woman who believes that the stars tell our futures; they and more take a ride together, without knowing that it will be their very last. When the mini-bus arrives at the other side of a city tunnel, the passengers begin to notice something strange; there aren’t any other cars. No cars, no people on the street, no traffic of any kind, and no one is answering cell phone calls, not even the police. 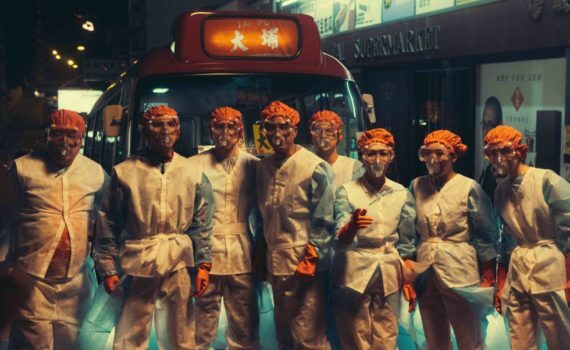 It’s as if every human in Hong Kong, and perhaps the Earth, has vanished in the blink of an eye, leaving this strange group behind. Not only that, but one by one the small assortment begins to die in grotesque ways, perhaps from some sort of contagious disease. This theory is strengthened by the appearance of a man in a gas mask & safety suit, a man who runs from Chi when he is questioned and who speaks in cryptic messages. This is the beginning of the weirdest day on the planet; good luck to the survivors. What the hell did I just watch, and what in the world just happened? Again, I was struck early (and it persisted throughout the entire film) by the feeling that I was missing something, that I needed some sort of reference or clue or key to the whole escapade, that some small piece of information might help me to understand why what I was watching made absolutely no sense. Not having that missing part of the puzzle, I’ll just have to assume that it doesn’t exist, that The Midnight After is just a mess to beat all messes, a nonsensical barrage of death & confusion whose point lies hidden deep under its ridiculous surface story. Maybe this is an enjoyed style in Hong Kong, but I was left completely out of the loop. A sci-fi, action, horror, post-apocalyptic comedy, this film never makes a decisive move toward one genre, instead straddling them all until nothing makes any sense. 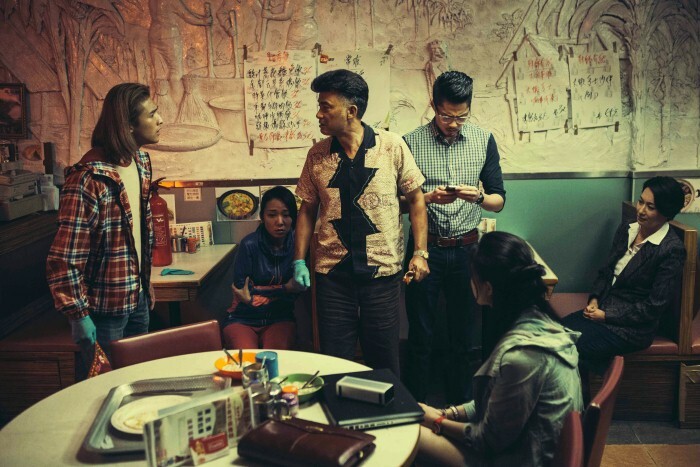 It’s like a Twilight Zone episode set in Hong Kong, but two hours long, and the plot left in the hands of filmmakers who were too tired to think straight. Exploding corpses, David Bowie karaoke, flashbacks, cleaver fights, hallucinations, gangs of men in masks, blood rain; yes, definitely something thought up by someone who needed a nap. And don’t hope for any resolution by the end, the story never resolves or concludes or finishes, it just fades away. Not that I mind having to think through what I just watched, but this is on a whole other level. Video – With an aspect ratio of 2.35:1 (16:9 Widescreen) and shot using Canon EOS 1D-C and C500 cameras with Canon EF Cinema and L-Series Lenses, the video quality of the film is not the problem. The resolution, color, and picture quality are all fine, with a nice use of a specific color palette that fit the city. So, visually this film is fine, it’s the content that was flabbergasting. Audio – The audio was done in Cantonese Dolby Digital, with a choice between 5.1 Surround Sound or 2.0 Stereo. Subtitles are available in either English or Chinese. The audio quality & music were both fine, neither a distraction nor an addition to the film. Extras – The only extras are four trailers: The Midnight After, Phantom of the Theatre, Mojin: The Lost Legend, The Great Hypnotist. Skip It. I can’t recommend watching this film. 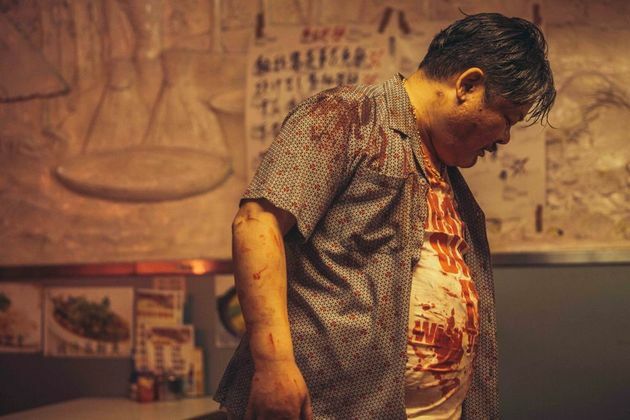 Unless there’s a certain subset of Chinese horror that I’m not aware of, this movie fits into that genre, and you’re a huge underground fan, I just can’t see anyone else liking this movie either. It has an interesting setup, a few good caricatures, and a bit of mystery, but then it all goes straight to hell. Maybe that’s where these people are, hell, maybe they’re being tortured. I don’t really know, and I doubt that any explanation for the action would be enough to make me forgive the seeming randomness of the story and the very little sense any of it made. The video is fine, so is the audio, and there are a few previews for other films on the disc. But I doubt anyone really needs to see this; I think we’ll all survive without.